Looking to buy a Mouse Pad? If you’re serious about gaming or just want your Mouse to glide better, this guide is absolutely made for you. 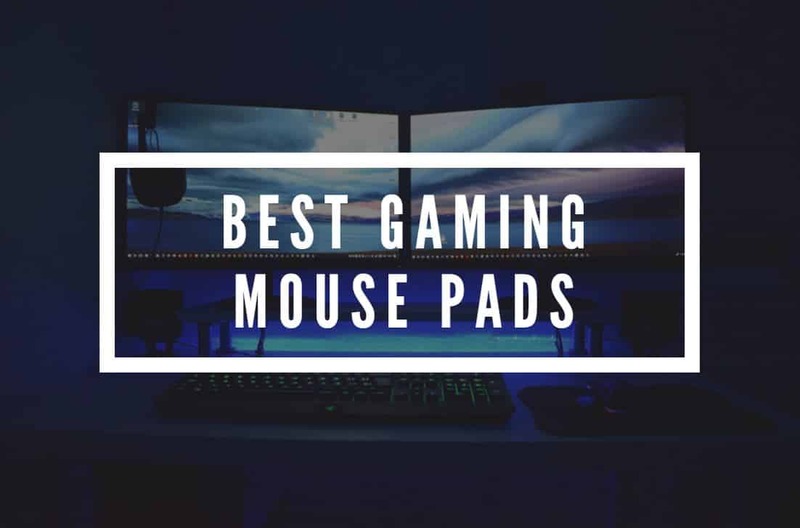 This is not just another article which simply lists various products and compares them, we will actually check out the Mouse Pads Professional Gamers use every day. We will also go through different types of MousePads available and the material they are made of. Lastly, I’ll help you in choosing the one which fulfills your requirements and you won’t have to worry about spending too much cash. 7 Where to Buy Custom Mouse Mats? So, before we go through this list, let me answer a few questions that will clear some questions that might be on your mind. Is a MousePad Really Necessary? With the new generations mice having an optical or a laser sensor, using a mousepad is completely optional. Most of them should work just fine on any flat surface. But when it comes to gaming, we require faster movements and better control and this becomes particularly important in FPS Games. Obviously, a Mouse Pad cannot improve your aiming, but it can certainly assist you in gradually improving your skills. Also, a Mouse Pad may prevent wear and tear on both the mouse’s bottom surface as well as on your desk. Do you know? Professional Fortnite Player Ninja uses the HyperX FURY S Pro Mouse Pad. One of the biggest benefits is that it improves the accuracy and control over the mouse. And you will feel the difference right away. This is possible because it is specifically built to control the behavior of the mouse’s tracking sensor. Secondly, Mousepads have a smooth surface that reduces friction. Thus the mouse slides more and it will allow you to do faster movements. Lastly, keeping your wrist on it can feel a more relaxing than the surface of your desk. This is especially true is the case of mouse pads with a soft surface. We will talk more about the different type of surfaces in the next section. When I first bought a Mouse Pad, it took me some time to understand the different types of choices that were available in front of me. But I researched for hours to understand which choice will be right for me and it was well worth it. To prevent you from going through the same trouble, here is a list of commonly used terms and what their significance is in gaming. The control type offers the highest precision in aiming. If you need better control over your mouse then this is the one that you should go for. A Control-Type is actually slightly rough and thus it offers more friction as compared to Speed-Type. For Snipers, the Control-Type Mat will be a great choice. For beginners, I’ll recommend this type of surface. The Speed-Type surface is smoother and the mouse glides way more than the Control-Type. You’ll have to put lesser force to move it on a Speed-Type surface. For FPS games like Counter-Strike: Global Offensive and faced paced games like Fortnite: Battle Royale, I’ll recommend the Speed-Type surface. 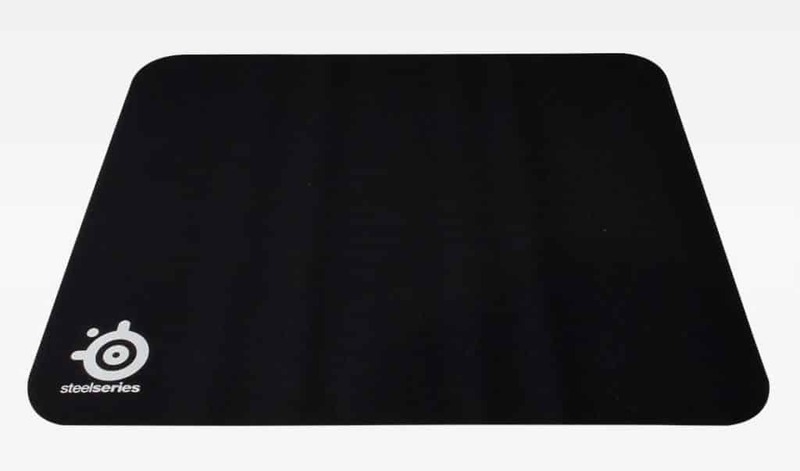 A soft mousepad is generally made from some kind of cloth. And these types of mats can easily be folded and are easy to carry. But at the same time, they are harder to clean. As they are made of cloth, they won’t cause any noise during usage. They generally don’t work too well for mice with a laser sensor. But they work great with optical sensors. As you might have already guessed, it is the exact opposite of the soft one. It is made up of a textured polymer. Of course, you can’t fold them but the cleaning part gets easier. It works great with both the Optical as well as the Laser Sensor. They are a bit loud due to the hard surface but it should be fine as long as you’ve headphones with good noise isolation. Important: Even though I am suggesting Hard Surfaces for Laser sensors, most of the modern Mouse Pads like Qck+ and ZOWIE G-SR with a soft surface can handle the Laser sensors quite well. As I already mentioned, you’ll need to choose the surface depending on the type of mouse you use. Optical Sensor: Works great with both Hard and Soft Surfaces. Laser Sensor: They offer higher precision than the optical sensors but can cause jitters with soft pads. They require hard material to function optimally. Here’s a great article from PC Gamer, that explains the differences between a laser and optical sensor based Mouse. If you prefer playing at high DPIs, I’ll recommend you getting Hard Mouse Pad. Depending on the mousepad you choose, you might need to increase or decrease your in-game mouse sensitivity to get better results. Manufactures usually classify the size of their mouse pads in three different categories. If the size is too small, you will have to play at higher sensitivities. a) Mini/Small: They are suitable for normal usage but not for any productivity task. 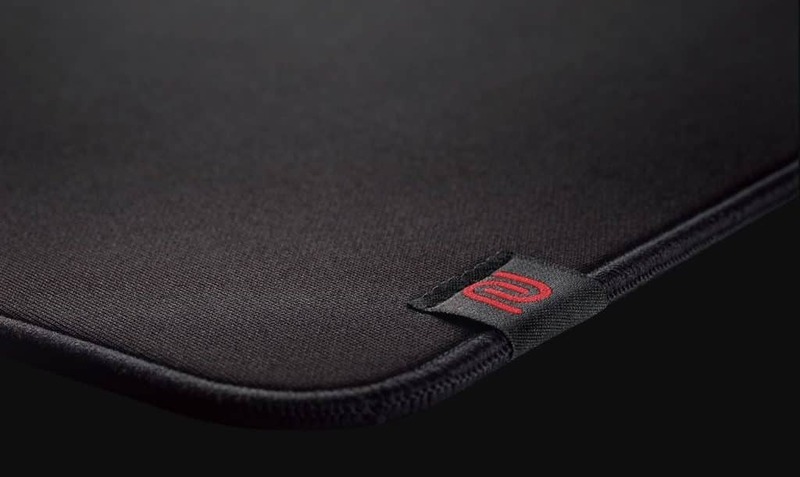 Most of the Small Mouse Pads come with a Wrist Rest and it makes them comfortable to use for long hours. Also, they are the cheapest ones that you can get. But these are way too small and not recommended for gaming. b) Normal: This is the ideal size for gaming as it offers enough room for the mouse movements. Most of the popular gaming mouse mats fall into this category. c) Extended/Large/Extra Large: The extended ones are too big and can hold both the keyboard and the mouse. You can go with it as well, it’s always about personal preference. But from the point of view of gaming, I feel that the normal sized ones are more reliable. A good base prevents a mousepad from slipping or accidentally moving it while gaming. Most of them have a rubber base that keeps them stable. The majority of the gaming mouse pads don’t come with a wrist rest. But still, they are some good choices available that have a wrist rest and offer a decent gaming experience. 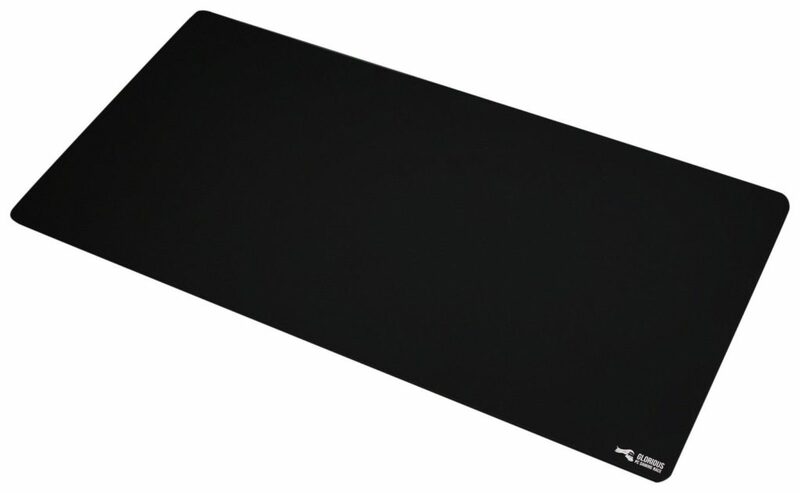 AmazonBasics Gel Mouse Pad is a really good choice. Here is a video from LinusTechTips to help you out in choosing the mouse pad. Here’s the most interesting section of this article as it contains the list of Pro Gamers and what they personally use while gaming. The games that we are going to have a look are Overwatch, CS:GO, PUBG, Fortnite, and Dota 2. As you can observe, the SteelSeries QCK+, BenQ ZOWIE G-SR and the HyperX Fury S Pro are popular among top gamers. And this is true across different types of games. The Corsair MM200 and Logitech G640 are also popular among some Pro Gamers. 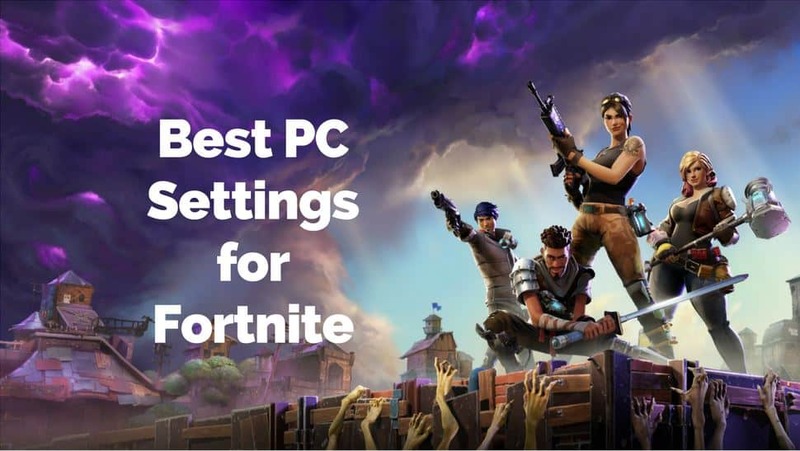 If you’re also a Fortnite player, do check out our best in-game settings for highest FPS. Here’s the list of top Mouse Pads for 2018. 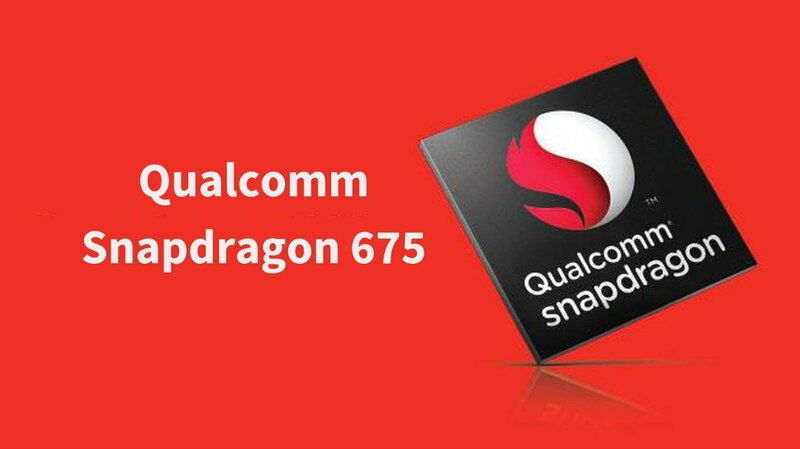 You can check out the specifications and ratings here while the review is available down below. Four of the Mouse Pads in this list have a Soft Material while two of them have a Hard Surface. 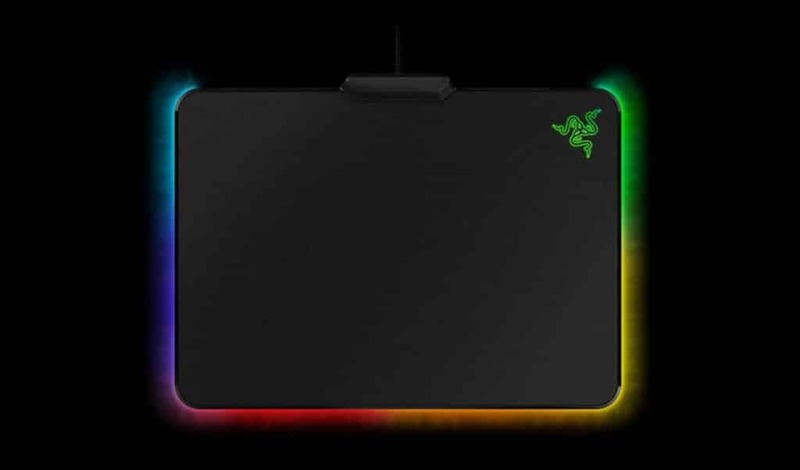 The Razer Firefly Chroma is available with both Hard and Soft surface. The SteelSeries QcK+ is a very popular choice among gamers. It is suitable for both the experienced players and the newbies. Many of the professional CS:GO, Overwatch, and Dota 2 gamers prefer the Qck+. It offers decent speed as well as good control. Coming to the design, there is nothing too fascinating here. The design is simple and it should look good on any kind of computer desk. It is made of a high-quality cloth surface which is nearly frictionless. Hence, not only the mouse glides faster but it is easier to stop as well. It has a high thread count which improves the tracking and accuracy significantly. It has a rubber base at the bottom which prevents it from slipping. Lastly, it offers a great value for its price. The only problem that I observed it is that the sides may start to unwoven after an extended period of usage. But considering its price, such minor issues are acceptable. Even though it has a Soft Surface, thanks to the high-thread count, it works great with the laser sensors as well. It is not too difficult to clean either. As I already mentioned, it is a very good choice for First Person Shooter games or any shooting game in particular. It offers a great balance between speed and control and is highly recommended from my side. It is an ideal choice if you like to play at low sensitivities. You can also go for the SteelSeries QcK Heavy which is a lot more thicker than the QcK+. If you’re confused or overwhelmed with the number of choices available, get this one as it is suitable for most games regardless of your playing style and skills. The ZOWIE G-SR is another soft pad that gives great gaming experience. The surface is even and smooth that offers steady movements with great control. 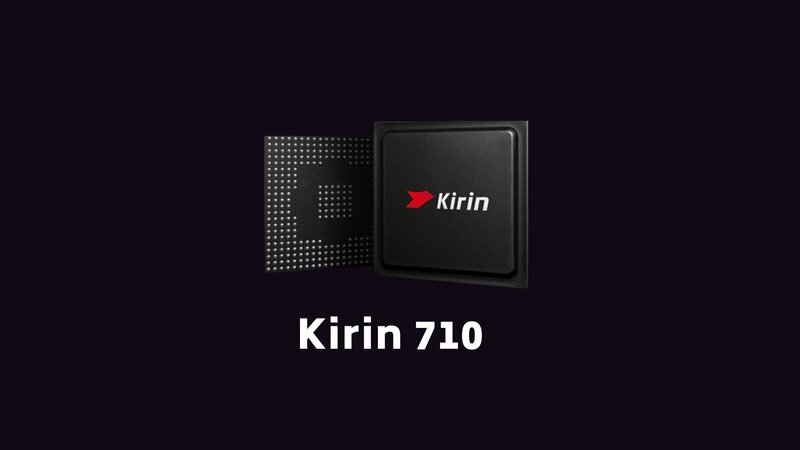 It is very much like the QcK+ in terms of performance. They have redesigned the rubber base and it offers a lot more stability. So, you won’t have to worry about it sliding. It also doesn’t fray out from the sides. Both accuracy and speed can be achieved using this one. In terms of design, I feel that it looks a lot better than the Steelseries QcK+. The glide is also consistent across the surface. It is one of the best mousepads available for FPS games. The only downside is its price, otherwise it is one of the mousepads one can get. It works fine with both Optical and Laser Mouse Sensors. Professional Gamer Niko from Counter-Strike and Drassel from PUBG use this mousepad. It is also popular among Overwatch Players. 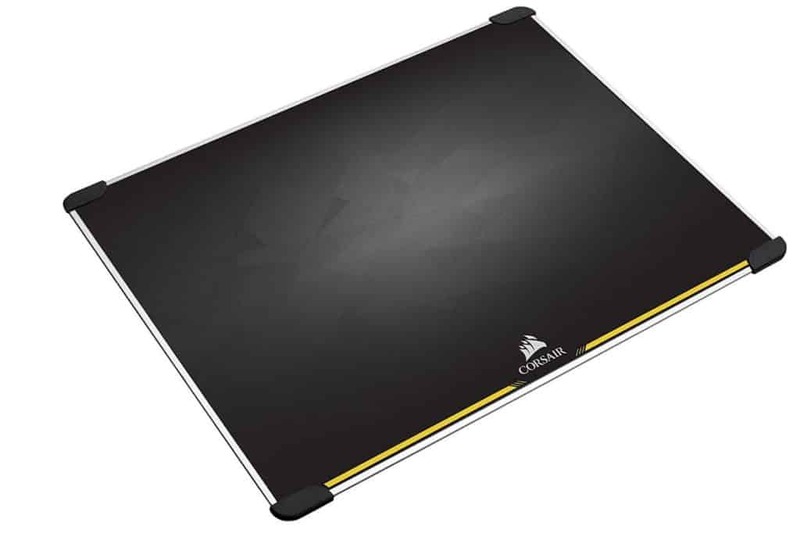 Corsair is offering a lot of options for mouse pads. There are many options available like MM100 (Soft Surface), MM200 (Soft Surface), MM300 (Anti-Fray Cloth Surface), MM400 (Hard Surface) and the MM600. The MM600 is a Dual-Sided Mouse Pad and the best among them. On one side, it provides better control and on the other, it provides great speed. If you prefer to use different surfaces for different games, this is the perfect deal you can think of. Also, if you’re buying a mousepad for the first time and not so sure that which kind of surface will suit you, better go with the MM600 which offers both in the same package. Due to the hard surface, it offers the best accuracy for laser mice. In terms of looks, it looks elegant even with a minimalistic design. However, it also costs a lot more. If you just need the Speed-Type Hard Surface, better go with the MM400 and save some bucks. On all the four corners, it is covered by rubber that keeps it stable and prevents it from slipping. You can anytime flip the mat and switch between the high-textured rough and the smooth surfaces. 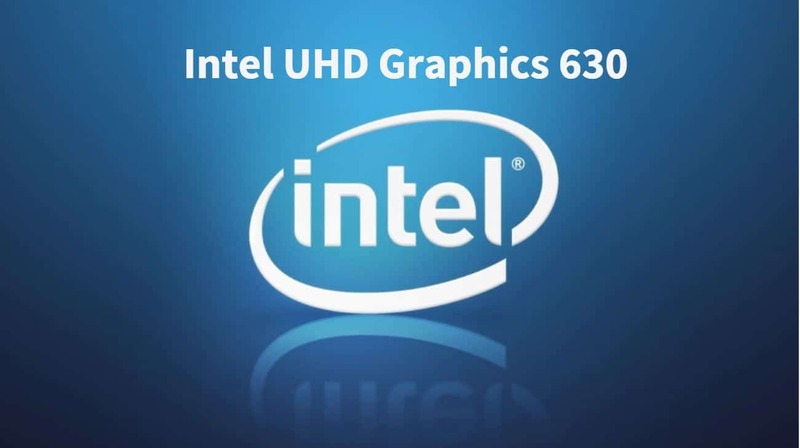 It is best for almost all kind of gaming genres like Shooting, Sports, or Strategy based games. It works great with both Optical and Laser mice and I’ll highly recommend it for the laser ones. 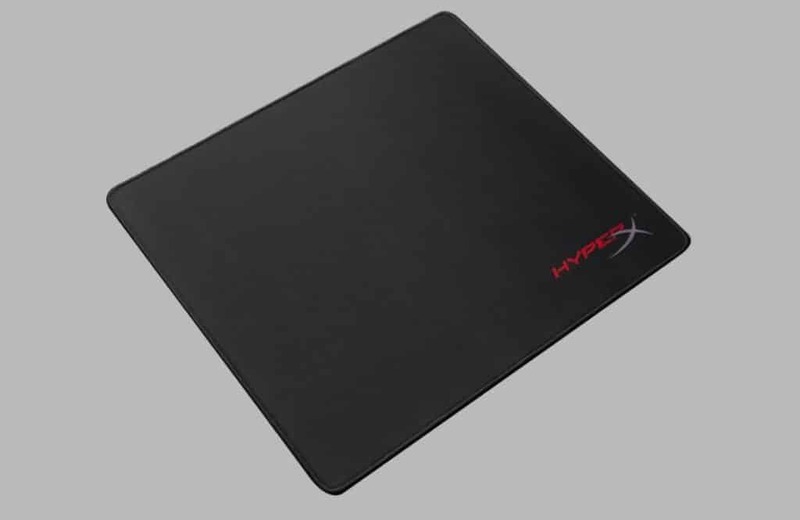 The HyperX Fury S Pro has a soft cloth surface. The surface is comfortable to your wrist and this is especially useful if you like to game for very long durations. It is available in 4 different sizes: Small, Medium, Large and X-large. The Large and Medium ones are the ideal for gaming. The sides are stitched so they don’t fray out. The design of Fury S Pro is simple and surface is uniformly smooth. This one too has a base made up of rubber that prevents it from sliding away. Thanks to the densely woven fabric, the glide is consistent and precise. In terms of pricing, it is slightly high but not even as high as the Zowie G-SR. In my opinion, it is the most durable and comfortable mouse mat out there. If you’re a fan of Fortnite, you probably know about Ninja and CDNThe3rd. Both of them use this one. It is also used by s1mple who’s one of the top CS:GO players. The Logitech G440 looks absolutely amazing and it is meant for gaming at High DPI. This mousepad is Hard and is made up of polyethylene. On this kind of surface, you can move the mouse with minimal force. The low friction allows faster movements and at the same time great precision. Just like most of the mouse we have tested, it also has a rubber base that provides stability. The surface texture is consistent throughout the pad. 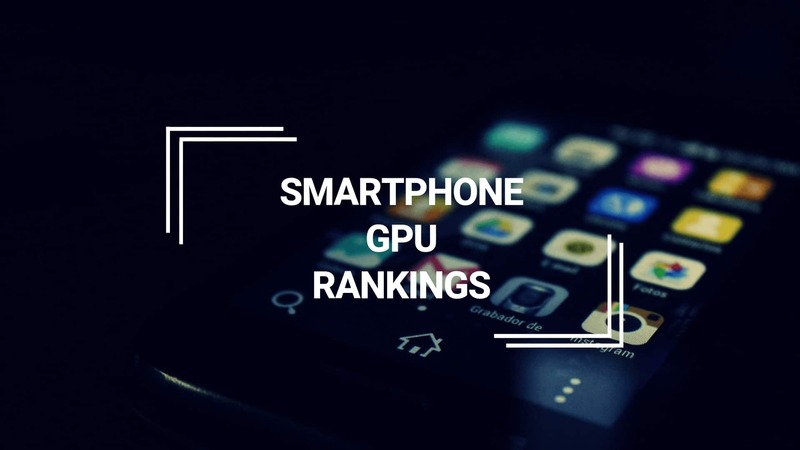 It is well optimized to work with the Logitech G Sensor. So, if you’re using a Logitech mouse, you can expect even higher precision. After heavy usage over months, the surface may wear out slowly. Also, the sharp sides are not at all comfortable. I’ll only recommend it to those who already own a Logitech Mouse. You can also check out the Logitech G640 which is popular among many gamers. If you like the Extended Mouse Pads and need one for gaming, the Glorious XXL will do the job for you. It is enormous in size and like I mentioned earlier, an extended mousepad has enough room for both the Keyboard and the Mouse. The Surface is great for both Control as well as Speed. The rubber base prevents it from slipping and it provides a lot more comfortable experience than most of the mouse mats I’ve reviewed so far. Cleaning it is super easy as it can also be washed in a washing machine. However, as it is too large, you need to make sure that you have enough free space on your desk. The sides are also stitched for Anti-Fraying. The length of this one is 36 inches. It can also make your mechanical keyboard a lot quieter. The overall feel and design are amazing. The edges are comfortable for your hand and this makes it easier to use. Other than the Black color, it is also available in White. But I feel that the White one will get dirty easier. You may feel a slight odor when you open it for the first time. But it is likely to fade within a few days. But if that’s not the case, you should wash it once. If I had to buy an extended Mouse Pad for Gaming, this one will be my first preference. This one looks stunning, isn’t’ it? The Razer Firefly Chroma has customizable lighting with 16.8 million color options. It is available in both Surface Types: Cloth and Hard. It has a micro-textured surface that allows great Speed while maintaining good Control. It is well optimized for different kinds of sensitivity settings. It also offers Inter-Device Color Synchronization. And as expected, this one also has a Rubber base. Other than the colors, you can select from multiple lightning effects. But keep in mind that only three of the sides glow, the top one doesn’t as you can see in the above image. Also, this pad will cost you an extra USB slot to draw power for the lightning. It is a great pad if your budget allows it but I there are many better options available at a lower cost. But if you need the one which has lightning and looks super cool, then this one won’t be a bad choice. We are finally done with the list of gaming mousepads. But if you’re not a gamer, there are some other types too which might interest you. The ones I’m mentioning here are budget-friendly and great for daily use and office work. Here are some more Extended Gaming Mouse Pads. If you’re looking for some alternatives to the Glorious XXL Extended, then these ones will do the job. Using a mouse for long durations is not easy if you’re desk’s surface is not too comfortable. The ones mentioned here offer a wrist rest so that you can work with ease. If you’re still not completely sure of what will be the right choice, fix a budget. If you have a very low budget, go with the SteelSeries QCK+ or the HyperX Fury S Pro. If your budget is little higher, ZOWIE G-SR will be the obvious choice. All three of them are very popular among professional gamers and these are perfect for FPS games. For a higher budget, I’ll choose CORSAIR MM600 as the winner. I’ll go with Razer Firefly Chroma if I need lightning. And If I need an extended pad, then the Glorious XXL Extended will be my first choice. I hope that this will clear up all your doubts. If there’s any question left unanswered in this post, free feel to ask in the comments section below. 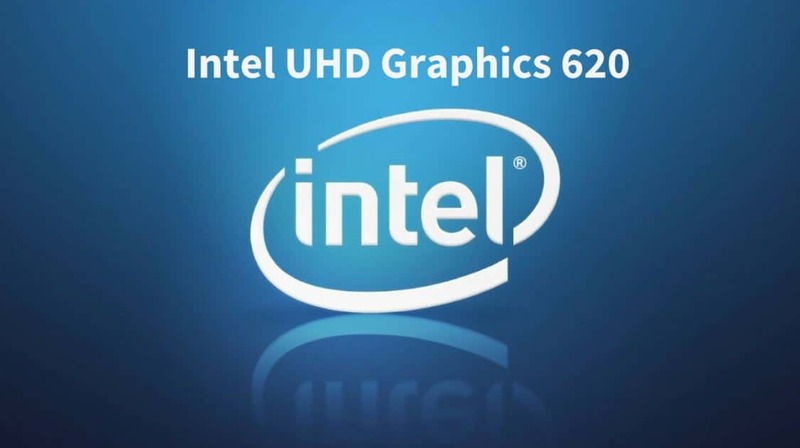 Looking to buy a budget GPU? Check out our review of Nvidia GeForce GT 1030. Most probably, your mousepads will have some guidelines to wash it. The Hard Surface ones are easier to wash. You can either clean them with a dry cloth or you can also wash them with water and then wait for them to get dry. Just make sure that you do not use extremely hot water while cleaning. But for a soft surface, I’ll recommend being slightly careful and not to use too much force while washing. Make sure that your first read the instructions before following any of these steps. If it is only dust, you can simply use a MicroFiber Cloth or an Air Blower to remove the dust. But if there is a stain on it, use soap and water to wash and let it dry out. Does your Mouse Pad Often get Dirty? Then better pick the Glorious XXL Extended Mouse Pad which can be washed in a washing machine! Where to Buy Custom Mouse Mats? A customized Pad is generally not too good in terms of performance, but you can add a personal touch to it. Be it a family photo, or your favorite superhero, all you have to do is to add a photo and/or some text. The best part is the color will never fade away. The size of this one is 7 x 9 inches. It is also water resistant and machine washable. It really helped me out to understand the differences between mousepad surfaces. 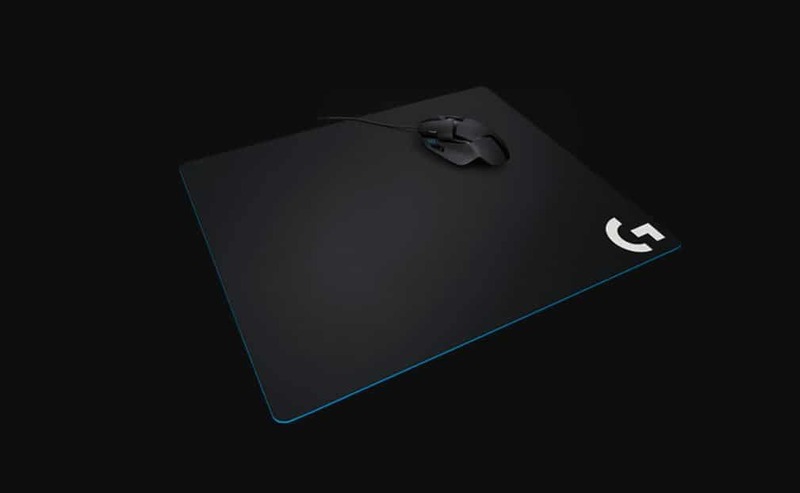 Best mousepad for logitech g502? You can either pick the Logitech G440 or the G640. 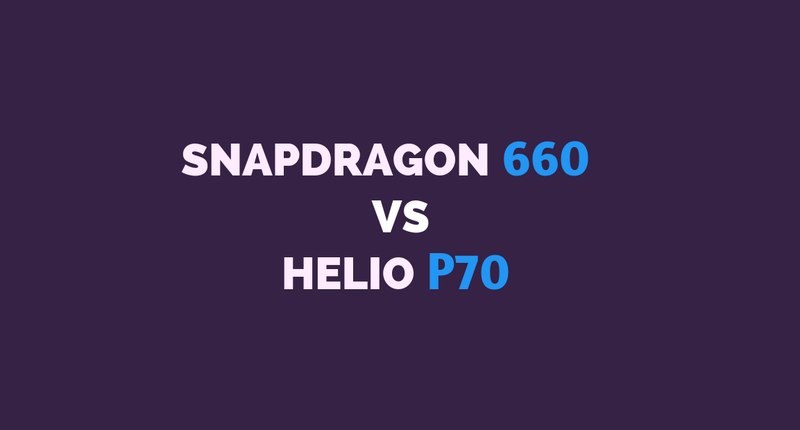 The G640 has a Soft surface while the G440 has a Hard surface. I’ve a Razer Deathadder elite. Which one should I get? Razer Goliathus vs ZOWIE G-SR? Firefly Chroma is too expensive for me. Razer Goliathus is a decent choice. You can surely get this one instead of the ZOWIE G-SR. I just received the Corsair MM600. Thanks for the guide. 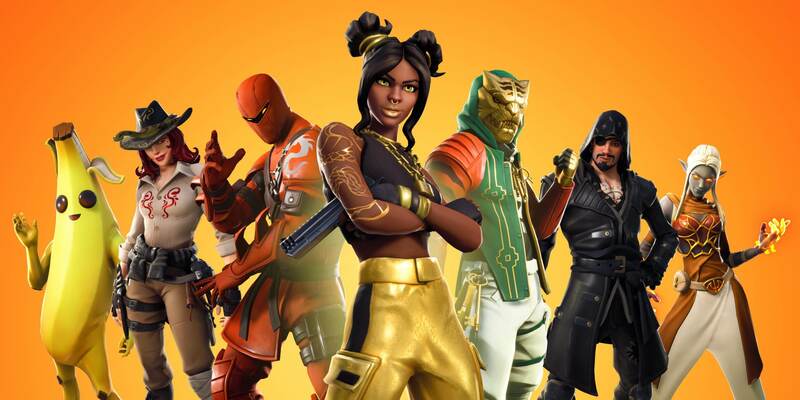 HyperX fury S pro vs Zowie G SR for Fortnite?